I love cake. And bundt pans, I mean come on. You’ve all seen My Big Fat Greek Wedding right? Bunnnndddttt. A what? A Bunnnnddddtttt. I love baking in my bundt pan. Mine is a stoneware bundt from Pampered Chef, but you can use any pan you like. This cake I doubled the cake recipe below by baking TWO bundt cakes. I baked one, while that one cooled I baked a second cake. I like the height of the cake, plus it kinda looks like a pumpkin! I think there is something so grown up and sophisticated about bundt cakes. I’m not sure what it is though. Maybe the lines on the outside of the cake? The curves? I just love a slice of cake with my coffee. 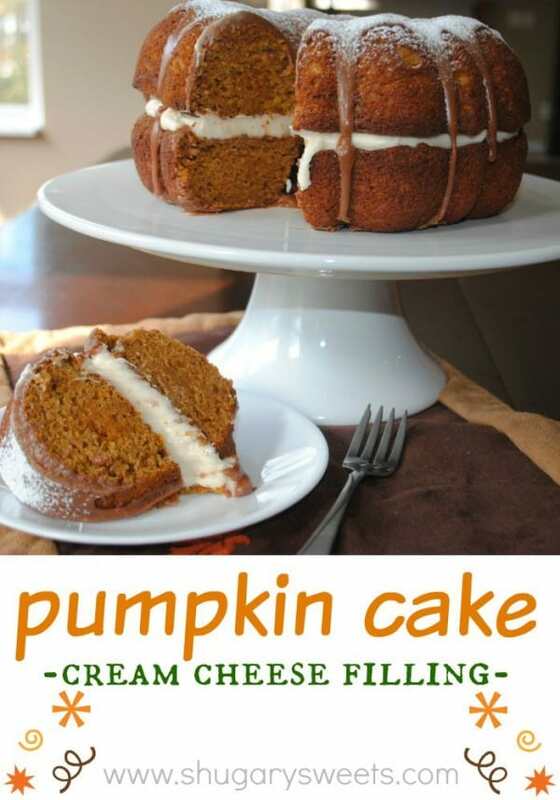 And this pumpkin cake? It’s so rich and moist! Paired with the cream cheese frosting and chocolate ganache, you just can’t go wrong. So go do something right and have a slice of cake!!! Enjoy! Oh pumpkin cake…I will be daydreaming about you all day. Please bring your yummy filling and ganache topping to visit at my house!!! Oh yum! Sounds fabulous and looks beautiful! Love it! That is a pretty good looking cake! I love ganache toppings and yours dripping on your cake makes me want a piece like now! That looks terrific. Such a wonderful looking dessert. I bet it is devine! Come visit. We have a recipe for a three way lasagna today. Hi Aimee! I am a new follower to your page…I have written down about 20 of your recipes already tonight, I can’t wait to try them! I love that they are simple, so even a stay-at-home mom with a 13 month old (like me) can find time to make them! I was wondering if you’ve ever tried to make Cheese Tortellini, like the dish from Doolittle’s (a restaurant in the MN/ND area). It’s a ‘five cheese’ tortellini that’s baked, with an herb cream sauce, mozzarella, parmesan, gorgonzola, and fontina cheeses. It is AMAZING, but I can’t find any recipes for it anywhere (and would have no idea where to start on my own). Just wondering what your take would be on the dish? That dish sounds delish, I’ve never been to Doolittle’s, but the tortellini sounds awesome! I’ll have to ponder that one, thank you! And thanks for following, congrats on your little one! Oh wow that looks so beautiful and delicious! 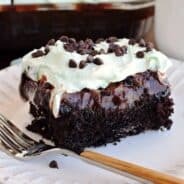 Aimee – you make the best desserts! This looks so delicious and it’s so pretty. I really love how you used two bundt cakes – fantastic! Aimee … stop doing this to me! I am going to try your chocolate baked donuts and pumpkin snickerdoodle cake this weekend but, now that I see this I am torn. You are killing me with your evil sugar ways. I can’t say the word “bundt” without using that accent from My Big Fat Greek Wedding. Drives my husband nuts, LOL. That’s one of my favorite movies and one of my favorite scenes. I like the idea of making two cakes to add height. This filling in the middle looks absolutely delicious. Thanks for sharing on Sweet Indulgences Sunday. Both beautiful and delicious! Thank you so much for sharing your culinary talent at Rook No. 17! Which size can for the pumpkin? My stores have 2. 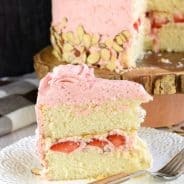 This is the first recipe I have seen of yours but if the rest of them are anything like this one I want ALL of them! This sounds absolutely out of this world to me and I can’t wait to make one. My cousin posted it for me. So I need to thank her for it because if she hadn’t put it out there for me to see I would never have known about it. Thanks Marie very much! Linda. Hi! I was wondering if the recipe would still work if I left out the pumpkin (no substitute). 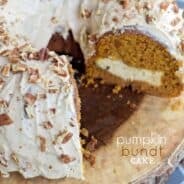 I’m not a fan of pumpkin in general but would love to still make the cake. Thoughts? Thanks! mary, i have some pumpkin (hokkaido pumpkin) in the oven right now; peel it before (though its skin is eatable), slice it and cook it on 400F for 30 mins, covered with aluminum foil so it doesnt brown. i live in germany and here we dont have canned pumpkin, plus i dont like processed food at all. … and then let it cool and make a puree. you can put the excess puree in the freezer for another cake. Is there any butter in the frosting or just cheese, milk, sugar, and vanilla? I’m impatiently waiting for this to cool 🙂 Can’t wait to taste it! Can I use veg oil instead of apple sauce & if so, how much? Sooooo excited to try this! My husband is going to go nuts! U said no butter but I see 1/4 cup butter in frosting?????? I am making this cake now and for some reason 1 cup of flour just doesn’t seem like enough. Has anyone else made this recipe and is the flour amount correct? If you’re making just one bundt it’s correct. They are a bit smaller than a typical bundt because to make the “pumpkin look” you will need TWO of them.Hope this helps! How did your cake turn out? One cup of flour seems a little off. I was going to double the amount . It came out great! I followed the original recipe. Because I use two bundt cakes for a big pumpkin, these make smaller individual cakes. What did you use for the stem on the finished “pumpkin”? I don’t have a stem on mine…but I suppose you could use a ice cream cone (the cake cone type).? Then frost it green? Hi, this looks amazing but I am confused with the last picture of the cake. It does show a stem and it’s also frosted entirely to make it look like a pumpkin. Can you tell me how you did it? The picture after that one just shows it with a sprinkling of powdered sugar. Hi Cathy, If you look above, I don’t have a stem on my cake. But I suppose you could use an ice cream cone and frost it green? the cake is frosted orange. i don’t see the recipe on the page or am i just missing it. I see this too on Pinterest but when I click it sends to me this recipe, which seems similar, just with a different end result (but I really want that pumpkin look). What I’m going to do is make the cake and filling, then just use my traditional chocolate icing and try to dye it orange, or maybe just make extra cream cheese filling and use that to make it look like the Pinterest picture. Not sure about the stump though yet – might use a real stump! Ahhh this makes sense. So there must be a different image attached to my recipe??? As for a “stump”, could you use an ice cream cone (the cake cone style) and cover it in chocolate frosting, or vanilla frosting tinted green? Depending on the color you want? If you want orange frosting, you could dye cream cheese frosting? this sounds great. 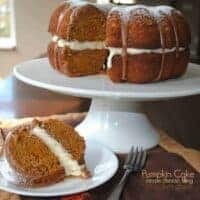 The photo on pinterest shows the cake covered in creme/frosting and looking like an actual pumpkin. do you just make a separate mini cake to fill the inside so you can still get the shape on the outside? I totally agree with the others above!!! 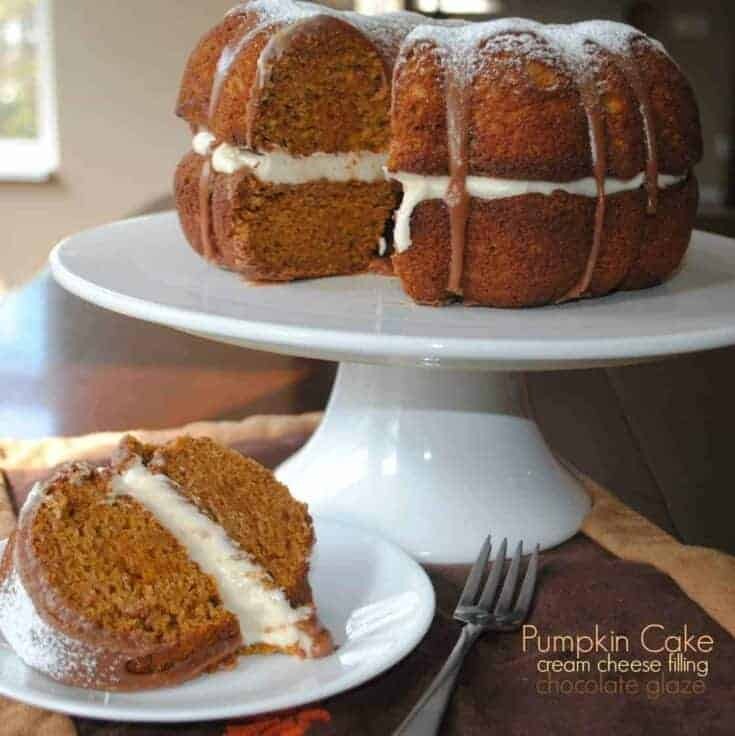 Wish I could find the recipe to the image posted of the cute frosted orange pumpkin cake. That cake photo is what made me open the site 🙁 don’t want the chocolate ganache topping! On the recipe, the frosting calls for 2-3 cups of powdered sugar. How do I gauge how much to use? It depends on how thick you like your frosting…some people prefer their frosting more on the thin/runny side. Not sure what happened when I posted, but it didn’t pull my name. Anyhow, the cake came out great! A big hit with my coworkers. I just made this cake and followed the recipe precisely. Did anyone else have a cake that came out gummy? Super undercooked? I am making the second cake now and cooking for much longer than 45 minutes to see if there is an error with my oven and the timing.